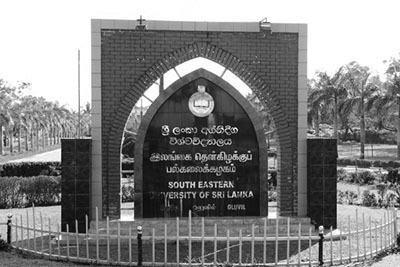 The Academic Program for the Academic Year 2013/2014 of South Eastern University of Sri Lanka will be commenced as follows. 1. Academic programme for the new students of Faculty of Arts and Culture, Faculty of Management and Commerce and Faculty of Islamic Studies and Arabic Language will be commenced on 06.07.2015. 2. Academic programme for the new students of the Faculty of Applied Sciences will be commenced at 9.30 am on 08.07.2015. Those who are entitled for hostel facilities are requested to report to their respective boarding places before 05.00 pm on previous day of their respective commencement date of academic sessions.